Digital disruption. Sluggish growth. Marketing accountability. Brand safety. MarTech, AdTech, AI. The role of CMO has never been more empowered and mission-critical. It has also never been more challenging as CMOs face a vastly more complex and expansive marketing ecosystem. In this webinar, we’ll look at some of these challenges and discuss how CMOs can arm themselves both by going back to basics and by employing next-level thinking. 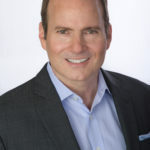 Peter is a global marketing and innovation senior executive & CMO with 28 years of leadership across diverse industries in consumer and business products, services & technology for market leaders such as Capital One, Hershey, General Mills, US WEST (Qwest), an... more.